Since 1997 Hardy Computer System's Sole Proprietor, Jason Hardy, has striven to provide excellent customer service to his clients. Since inception, Hardy Computer Systems has worked with many clients on issues ranging from custom computer building, website design, small business and home networking. Additionally, he has worked provided on site computer support at several Major League Baseball All Star Games, and several shows with Cisco Systems. 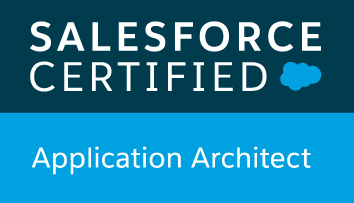 Jason is a Salesforce Certified Application Architect, Advanced Developer and Advanced Admin.. He is also the holder of a BBA in Management of Information Systems. Jason energized the Salesforce.com Architect, Developer and Admin roles at Wowza. In these roles he was able to align the legacy CRM to conform with best practices (e.g. taking 10 different triggers on one object and consolidating them into a single unified trigger). Additionally, he authored an DocuSign REST API Wrapper that enabled automated sends to DocuSign. He also led the efforts to get Wowza migrated to the Lightning Experience as well revamping the Growth Circle's commissioning process utilizing Salesforce and Zuora. Acting as a Lead Developer and Scrum Master for the Front Office development team, led the effort to develop and deploy a multi-divisional Salesforce instance using both Sales and Service cloud. This system will be used by over 1,000 users as well as 75,000 portal users. This system is integrated via TIBCO to both legacy and back office applications. Acted as a business analyst and a Scrum Master for the 1,800 user instance of Salesforce.com within Mitchell International. Responsible for the successful roll out of a multi-divisional "Service" module which enabled these divisions to manage their customer installations and project management with Salesforce utilizing Communities for customer facing interactions. Responsible for the support and configuration needs of TD Ameritrade's customized Salesforce.com OEM Overlay. Supported many complex implementations and roll outs with connections to multiple portfolio management systems. Additionally, developed license tracking, sales cycle and lead tracking of current and potential CRM clients. Responsible for project management of LPL Financial's Advisor Facing CRM initiative, which entails the reselling of a customized version Salesforce.com CRM suite to LPL Financier’s advisors. Coordinated vendor selection, and roll out of the Salesforce CRM Reselling Platform. Additionally, designed and deployed an internal pilot of Salesforce as a replacement of the legacy Siebel CRM system. Responsible for implementation/customization of CRM as well as managing all day-to-day operations/administration of CRM system including nightly ETL load, outbound marketing emails, business logic, and procedures. Duties included heavy business analyst activities for all CRM/Intranet Portal related projects requiring interfacing with multiple parts of organization. Managed development of and supported a 4,200 seat CRM with 16 global support sites. Role included business analyst activities for all CRM related projects touching all support sites, and CRM Vendor. Provided Desktop support for approximately 100 computers at the El Toro High School campus.